It is always exciting to see the full range of exhibits on the show floor, but there is so much going on before the ribbon-cutting. InfoComm’s Solutions Summits addressing UCC and Digital Signage technologies gets started on Tuesday, allowing technology managers to hear from industry experts and exchange best practices with peers. Then Tuesday evening, InfoComm celebrates the best people and programs the AV industry has to offer at the 75th Anniversary Awards Dinner. It’s a great opportunity to recognize industry leaders, talk to contacts, and maybe make some new ones. I am also really looking forward to the Women in Technology Breakfast on Thursday morning. In addition to networking, we’ll be talking about InfoComm’s STEM education efforts and will learn about the art of communications from a world-class speaker, Sam Horn. 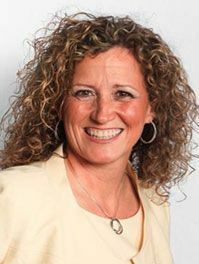 Johanne Belanger is InfoComm president, and Freeman Audio Visual Canada president.